You're fixing dinner for your family and reach for the potatoes, and you begin to wonder if the spuds are still good. 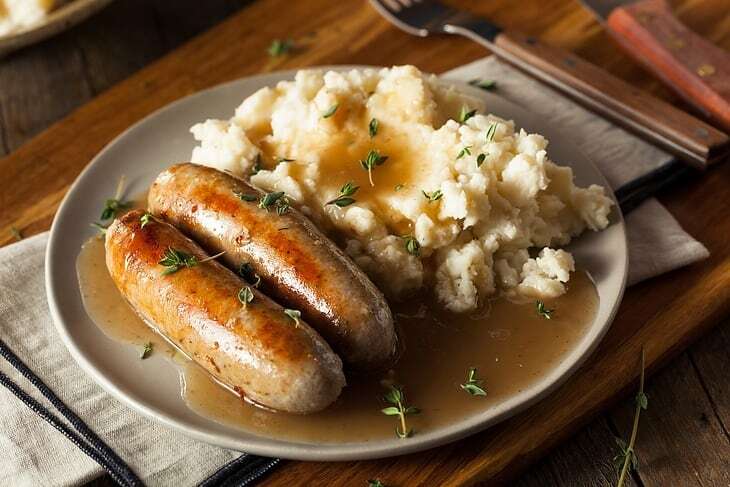 Most experts agree that the answer to the question "How long are potatoes good for?" is generally about three to fi﻿﻿﻿﻿ve weeks when stored in the pantry. However, there are several factors that affect this timeline, such as storage, temperature and type of potato. Since it can be difficult to remember when you bought those spuds, here are a few signs that can help determine whether or not the potatoes are still good. Three to five weeks is the average shelf life of potatoes, but this time frame can be shortened or increased, and it varies from one type of potato to the next. White, russet potatoes and sweet potatoes last for 3-5 weeks in the pantry. 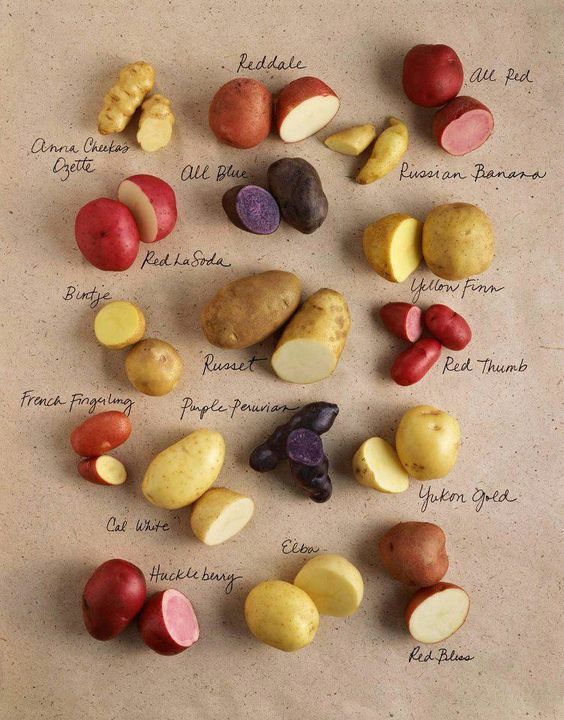 Red potatoes, Yukon gold potatoes and fingerlings last for 2-3 weeks in the pantry. You can increase this time by storing the potatoes in the refrigerator. Below is the lifespan of each kind of potatoes when you store them in the fridge. White and russet potatoes last for 3-4 months. Red, Yukon gold, sweet and fingerlings potatoes last 2-3 months. Uncooked sliced potatoes, including uncooked French fries, can be stored for 6-8 months. Soft spots or mushiness and discoloration. Begin to wither and develop an unpleasant or rotten odor. Wet potatoes can develop mold. If this happens, you need to throw them out. Potatoes stored in a climate with too much humidity can begin to grow white sprouts, which is an indication that the starch found naturally inside the potato has begun to convert into sugar. This doesn't mean the potato is bad, and the sprouts can simply be cut off before use. Just simply use, say, your utility knife to eliminate the sprouts. However, the potato's quality may become diminished. If the sprouts are accompanied by wrinkling, you should throw away the potato. When a potato is exposed to direct light (sunlight or artificial) for an extended period of time, it will begin to develop green spots and possibly a bitter taste. 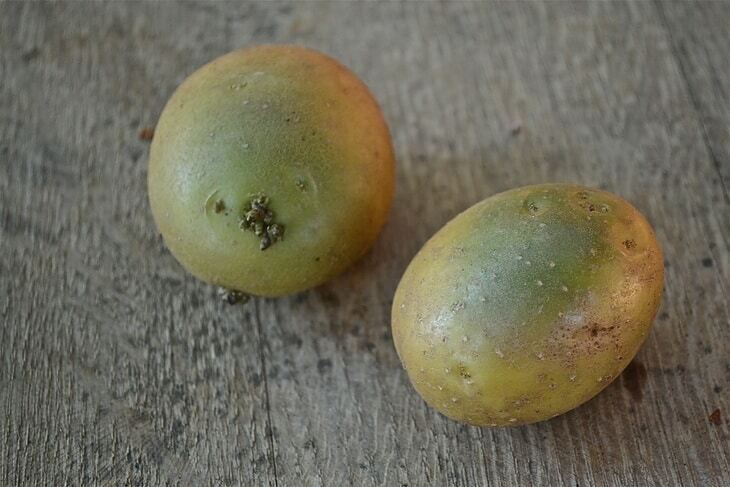 In fact, green spots on potatoes could be a sign that the toxin solanine is present. Signs of solanine poisoning are diarrhea, vomiting and headaches. Any and all green spots should be removed before using the spud, and some people find it best to just discard green potatoes all together. One spoiled potato can accelerate the spoilage of any other potato it is stored with, so you should remove and discarded any bad potato as soon as possible. According to the University of Idaho, the common temperature in homes of 65 to 75 degrees Fahrenheit is too high for the optimum storage temperature of potatoes, which is 42 to 50 degrees Fahrenheit. Because of this, you should store potatoes of all types in a cool, dark area that is well ventilated. When you store potatoes in an area with higher temperatures and lower humidity, the potatoes can sprout and shrink. This is because potatoes are 80 percent water, and dry, hot climates will cause the water to evaporate. 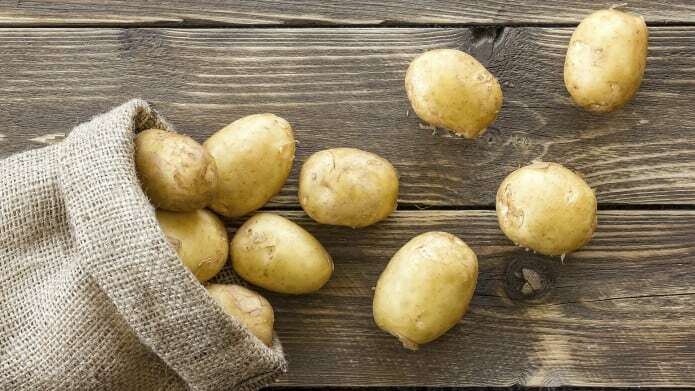 Storing potatoes in the refrigerator will increase their shelf life, but it will also cause the starches naturally found in the vegetable to turn to sugar, which will cause the potatoes to have a sweet taste and possibly darken quicker when frying. You can reverse this process by letting the potatoes sit out at room temperature for 7-10 days. Because wet potatoes increase the chance of mold growth, never wash the vegetable before storing it. Instead, wait until right before using the potatoes to wash dirt and debris off the surface. If you're storing potatoes in a bag, choose a dark-colored bag, such as a brown paper bag, that has holes cut into it to allow for airflow. In short, to keep your potatoes fresh longer, follow these instructions below. Store potatoes in a cool, dark area at about 42 to 50 degrees Fahrenheit. Choose a dark-colored bag, cut holes into it to allow for airflow to store potatoes. Put potatoes in refrigerator to increase their lifespan. Do NOT store raw potatoes in airtight containers. Do NOT wash potatoes before storing it. It'll increase the chance of spoiling. Consuming spoiled foods can lead to an increase of health risks. It is extremely important to practice proper food safety and not consume any foods that are rotten, spoiled or past their expiration date. Futhermore, the shelf life of potatoes is just an estimate and will vary from case to case. 3-4 weeks is the general rule of thumb on how long potatoes are good for. Storing potatoes in the fridge increases their shelf life. Improper storage of the potatoes will make them spoil and rot faster. Another amazing ingredient that you need to know how to preserve is Mushroom. Have time to learn more about How long do mushroom las﻿﻿t and the preservative method of mushroom. If you have any questions about storing potatoes or how to tell when they have gone bad, please ask in the comments below.